At Emmy’s Barking Lot, happy dogs are our priority! We can guarantee that every day your pup spends at "school," they will come home exhausted, with a smile on their face! 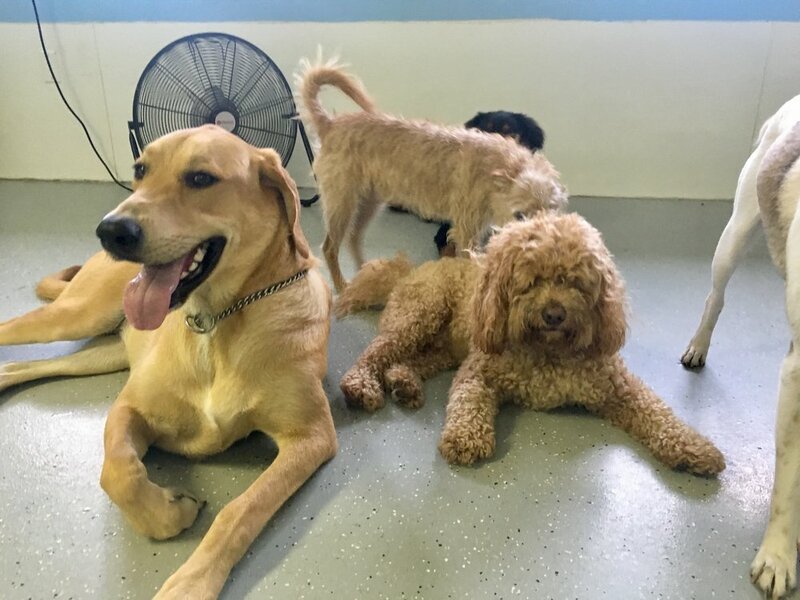 Our doggie daycare is proud to be different. We create an intimate, controlled space allowing amazing 'pack' environment. All of our dogs play together, regardless of size, age, breed or temperament. Our experienced handlers oversee our pack every minute, ensuring that all dogs play together in a safe and happy environment. We are excited to spread Emmy’s influence across the South Shore, while continuing to take care of our Hanover pups. Our new Kingston facility replicates the success we found in Hanover, while providing more space to do so! We are excited to create another pack, and welcome new dogs into our Emmy’s Barking Lot family. 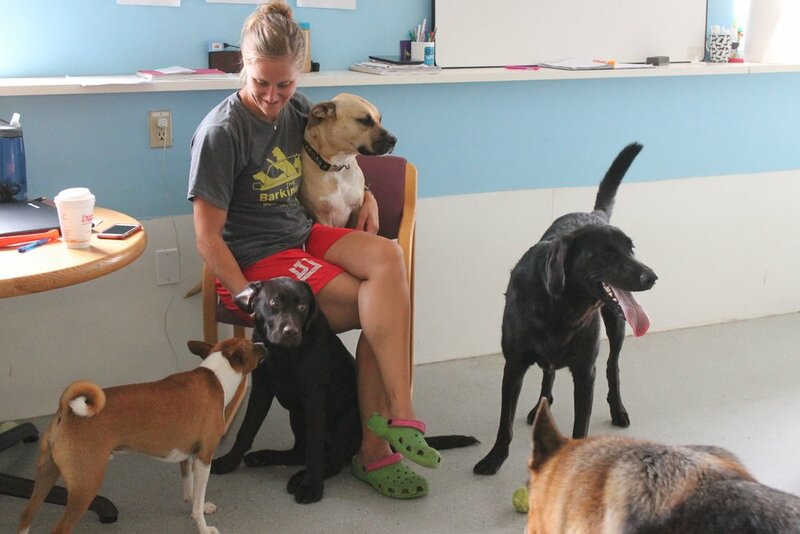 When you are out all day at work or busy with the kids, bring your dog to school at Emmy's Barking Lot! Stay away all day guilt free, knowing that Fido is happily playing off leash with their pack! 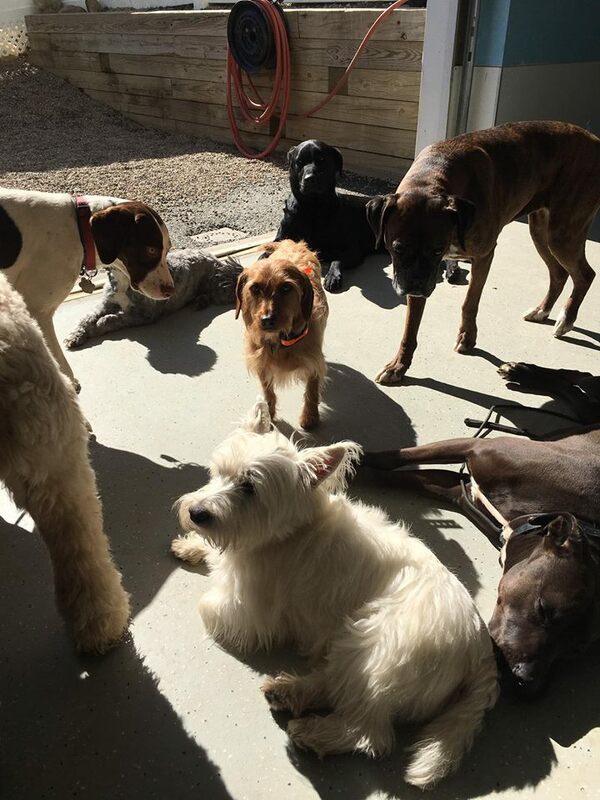 Our small facility is proud to have dogs of all breeds, ages and sizes play together harmoniously. No matter what your dog needs to work on, we will make a personalized training program for you! Training is the key to not only keeping your dog safe, but creating a happy and great companion. Check out which program would fit best for you and your pup here! The staff at Emmy's Barking Lot is proud to offer home boarding! Your pup will stay overnight with our experienced handlers who will keep your pup's routine as close to home as possible. Enjoy your time away, knowing your pup is being spoiled with their pack and at home with us! 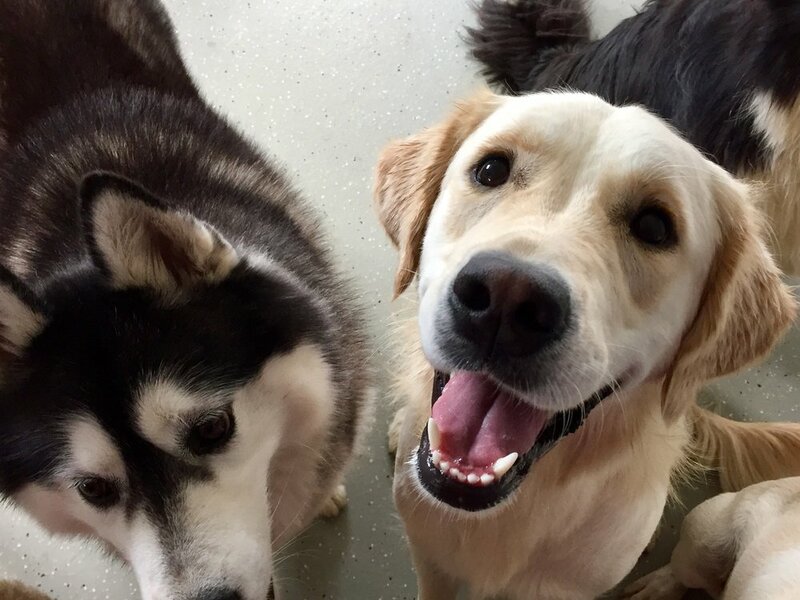 Both our Hanover and Kingston facilities are unique in the fact that the dogs choose what they want to do. If they want to play, they play. If they want to rest, they rest. They have access to both our indoor and outdoor sections, all day, every day.